Contessa Wit h Carl Zeiss 2.8 Lens. Nikon " F3 Film SLR"
Pro 35mm Film Is Slipping Away!! Very cool collection. You've got some classic cameras here, my favorite being the F3. Also a few I've never seen before. Thanks for sharing these images. 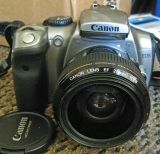 i have several cameras dating back to your time-do you have list of collectors looking for same--berlin1@msu.edu ?? 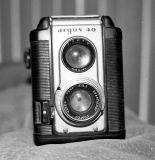 I started back in the early 70's with an Argus C3. Great camera. Wish I still had it. I still use a C3 as well as a C-4. I also use an "A" once in a while but the shutter is a bit unpredictable. Very nice collection. Rangefinders are a joy to use.